Eshom and Ian Nelms’ indie thriller Small Town Crime has completed a casting spree that has locked down the likes of Octavia Spencer and John Hawkes in key roles, The Hollywood Reporter has learned. There, they’ll be joining Anthony Anderson and Robert Forster in the Nelms’ latest feature, which has already entered production. If the core ensemble wasn’t impressive enough, THR also goes on to reveal that Small Town Crime has attracted quite the supporting cast too, enlisting the likes of Clifton Collins Jr., Michael Vartan, Daniel Sunjata, Don Harvey, James Lafferty, Jeremy Ratchford, Caity Lotz and Dale Dickey. 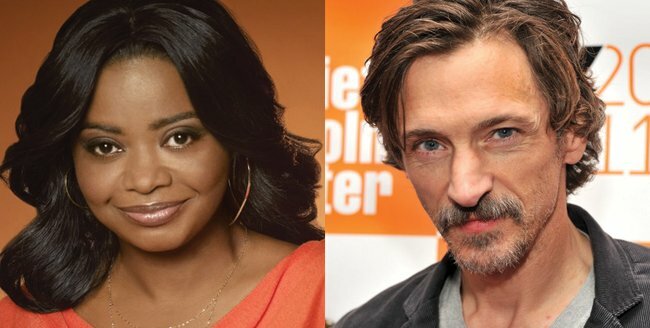 John Hawkes will be serving as the narrative crux, though, stepping into the well-worn shoes of “an alcoholic ex-cop who finds the body of a young woman and, through an act of self-redemption, becomes hell-bent on finding the killer but unwittingly puts his family in danger and gets caught up with several dark characters along the way.” Spencer is on board to play sister to Hawkes’ imperfect lead, with Anderson set as her signifiant other. Finally, Forster is attached to the role of the missing girl’s grieving grandfather. Marking the actress’ third time working with Eshom and Ian Nelms – after short film Chicken Party and Lost on Purpose – Octavia Spencer’s role stretches beyond the camera, too, considering the Oscar-winner will executive produce Small Town Crime. Plot details remain thin on the ground aside for that vague synopsis, but with production well underway, expect new details to emerge soon.